The graduation rate is the percentage of high schoolers who obtain their high school diploma after four years of study. Matriculation from high school is very important for future success, as it opens the door to a much broader set of college and career opportunities than are available to those who do not graduate. Earnings are also much higher among high school and college graduates than those who drop out of high school. While five-year graduation rates are available, they are not very different than four-year rates. The graduation rate in Louisville has increased since 2013 to approximately 80%. 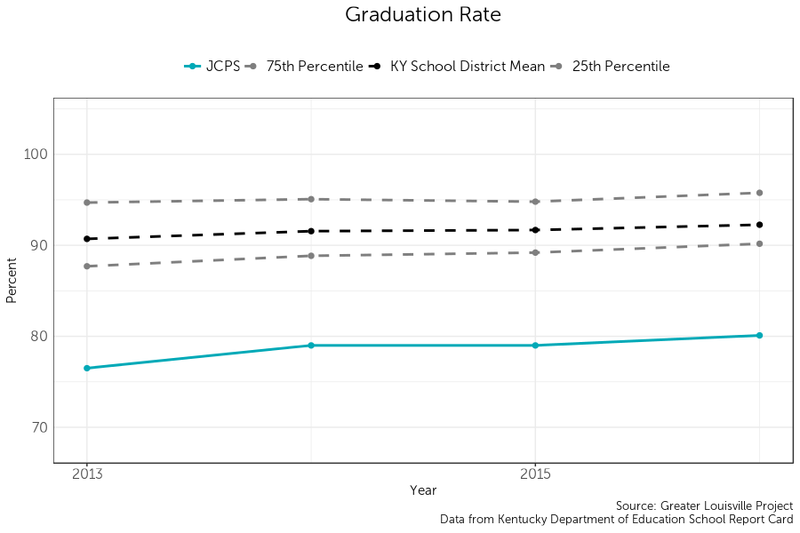 While Louisville’s graduation rate is trending in a positive direction, Louisville lags behind almost all Kentucky school districts: its 2016 graduation rate of 80.1% was the 6th-lowest among 176 school districts in Kentucky. While the city has made marginal progress over the past couple years, much larger steps forward are needed to make Louisville a more competitive city that provides students with the tools they need to succeed. 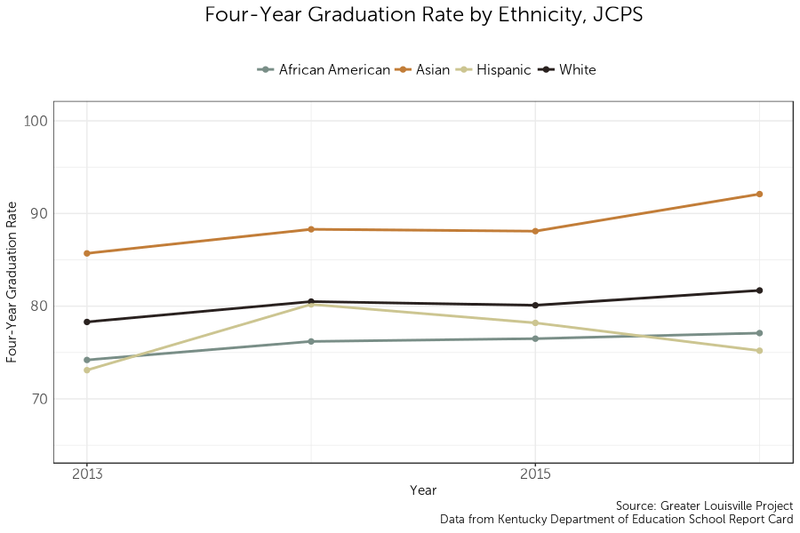 Among students at JCPS, Asian students have the highest graduation rates. While whites, African Americans, and Hispanics have relatively similar graduation rates, matriculation among Hispanic students has trended downward since 2014, in contrast to all other races of students. White students and African American students have both seen slight gains in graduation rates in recent years.